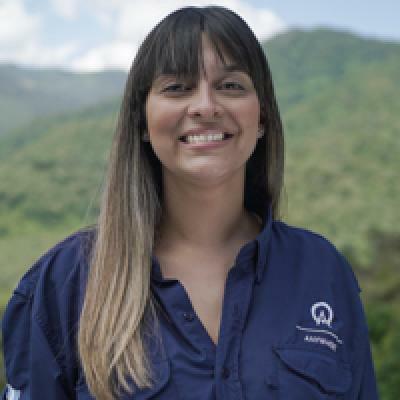 For an unforgettable evening, enjoy the peaceful "El Silencio' Nature Hike through secondary forest. The jungle sound and aromas as well as volcanic views are unforgettable. You can also take in the breathtaking view of the volcano on a kayaking trip on Lake Arenal or a fishing excursion. For a short day-trip, visit the Venado Caves beautiful stalactite and stalagmite formations. Set high on a ridge facing the spectacular volcano, the Arenal Observatory Lodge offers the adventurous traveler a unique, once-in-a-lifetime experience. The lodge sits in a private nature reserve with well marked trails perfect for hiking, biking and horseback riding through the rain forest. An infinity swimming pool, tiled in cobalt blue, melts into the rain forest beyond. A sunken bubbling Jacuzzi provides soothing relaxation beneath a glass gazebo framing the volcano's peak against a starry sky. There is also a restaurant for your dining pleasure. The lodge offers standard, Smithsonian and Junior Suites, all of which boast excellent volcano views. The walls of the Junior Suites are decorated with original ceramic paintings done by a local artist. La Casona, with a large terrace, five rooms with queen or bunk beds and two large shared bathrooms, is an excellent option for families or large groups. The White Hawk Villa is set away from the other buildings and is accessed by a short, scenic hike. The villa is also equipped with a dining room and a full kitchen. Note: The reception of the Hotel closes at 9:00PM, it is impossible to do the check in after that time. If somebody arrives later than that they must look for another hotel to spend the night. 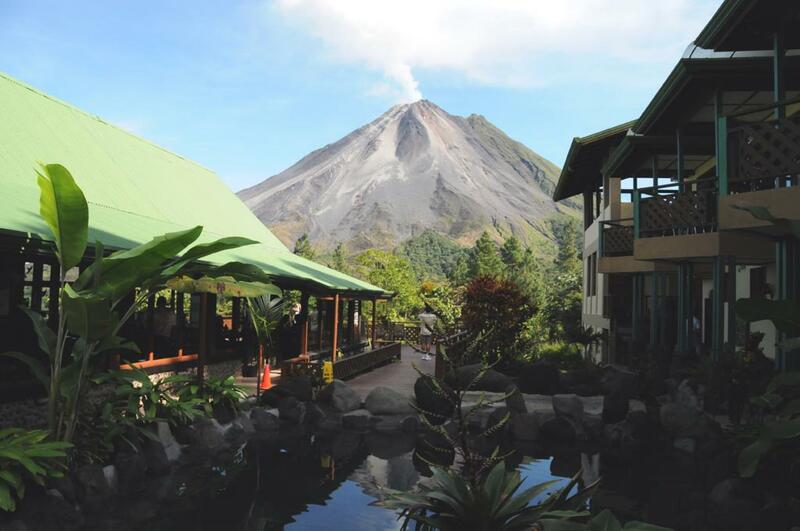 "Fabulous hotel at the foothills of Arenal volcano. Unfortunately we never saw it due to low cloud and almost constant rain. We were lucky enough to have the best room in the hotel with double aspect windows- over the lake and volcano. The staff each day made a beautiful arrangement with the towels for our silver wedding anniversary. Lovely buffet breakfast. Ate in the restaurant once and enjoyed happy hour. All staff lovely and helpful. Free morning guided walk through the grounds. Lots of self guided trails too. Would recommend this hotel 100%"
Staff on site were all very helpful and professional. Facilities were fantastic! This was amazing, we loved the hikes the staff and the grounds. Would definitely return and definitely recommend everybody go there. Great view. We had Spider monkeys living in a tree top outside our window. Got to watch them wake up and then swing through the trees in the AM. Nice trails. Nice rooms. Overly friendly staff. Good food. It can get touristy. Altho it was a bit far from the town, the setting made it totally worthwhile. WOW! Flabbergasted. The birds, the bridge, the amenities, the amazing lodging... truly incredible. Really enjoyed the horseback riding there, too. The volcano views were amazing. And the birds, wildlife on the trails, the Coati family that came by our back patio everyday was fun to watch. Would definitely stay there again - couldn't beat the views. This was an awesome lodge. We would definitely stay here again. The view was a postcard. The food and staff were incredible. We had a great time hiking all over the wonderfully marked trails. The view was outstanding and our room was wonderful. This was such a nice place to stay and to walk around in. The food was delicious in the restaurant. Casona Lodge was too far downhill from lobby and everything else. Too much hiking just to get to restaurant and lobby. Lodge overall was also too far from most tours so to get there and back is difficult due to rough road. Saving grace was that beautiful hiking trails with monkeys, birds and waterfall at the lodge itself. I suggest for people to not take any tour if you stay there and go hiking on your own around trails at the lodge. Beautiful hotel. Enjoyed staying here with all the activities that were on the property. Wish we had an extra day in Arenal! We loved the Lodge and the accommodations. It was truly beautiful - great wildlife, spacious rooms and outstanding grounds to hike. The staff was very friendly. Food was excellent. This is a magnificent resort with spectacular grounds filled with wildlife. I spent hours photographing right from the "trails" on the grounds and the observation deck. Our room had a direct uncompromised view of Arenal. Breathtaking and Memorable. My wife photographed an anteater from our balcony. Awesome. Exceeded expectations. Very clean. Long way from any restaurants other than the hotel...plan accordingly. Hotel ubicado en un sitio unico junto al volcan. Creo que es el mas cercano a el. El camino desde La Fortuna hasta el hotel no esta en muy buenas condiciones pero casi merece la pena que este asi porque le da mas encanto. Las habitaciones no son muy lujosas pero todas dan al vocan con amplios ventanales y despertar con el a los pies de tu cama es increible. El servicio es muy bueno, como siempre. La piscina y el jacuzzi con vistas al volcan son totalmente recomendables. Unbeatable location. Difficult to get to but what an amazing place.